Halfway through the show I called home, and my wife informed me that the plumbing in the downstairs bathroom was clogged, and the dog had gone outside and rolled around in something dead. And she wondered: Was I having a nice time? It was time for me to pick up the pace. 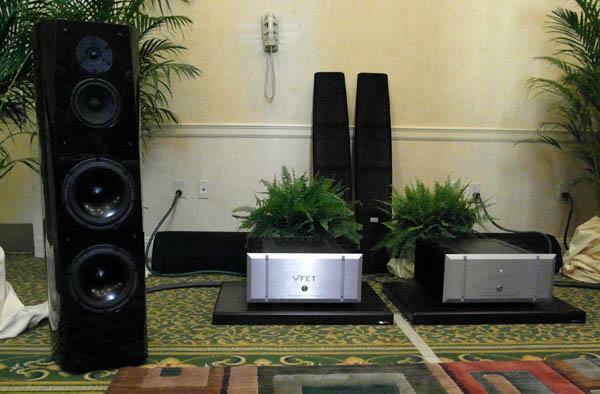 Sony demonstrated a pair of their AR1 loudspeakers ($27,000/pair), driven with a pair of Sony's Nelson Pass-designed 40th Anniversary VFET monoblocks and hooked up with Kimber Kables; the source component was a sample of the Sony HAP-Z1ES media player ($1999.99) that so impressed Kal Rubinson. The system did a fine, explicit job with Stevie Ray Vaughan's version of "Little Wing": The top end bordered on being overly crisp, but I believe that's a fault of the recording. Incidentally, I asked about the amplifier's retail price, and received the answer, "not for sale." Apparently this design was limited to an edition of six pieces, all of which are now spoken for. From there I proceeded to the Madison Fielding room, which was filled with music but seemingly bereft of playback gear. The star product in this room turned out to be the Madison Fielding Flagstone ($3500/pair), a three-way loudspeaker disguised as an outdoor planter (and driven for the show by a Parasound amplifier). The pair of Flagstones being demonstrated happened to be filled with artificial plants, but I was assured that real plants can also be used, thanks to the resin enclosure's specially designed Smart Pot. (Are you thinking what I'm thinking?) 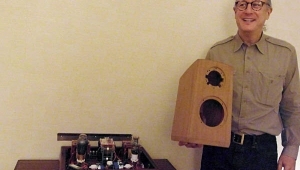 Audio-show veterans are familiar with a line of loudspeakers that are designed to look like rocks, usually with the same degree of success that garden gnomes are designed to appear alive; the Flagstones were far more convincing, sonically and aesthetically. The Cocktail Hour arrived early on Saturday, thanks to Canada-based Audio Plus Services, which distributes the relatively new line of affordable-perfectionist components from South Korea's Cocktail Audio in North America. The Cocktail X30 media player seen here ($1600) was being demonstrated with a Cambridge Audio $851 integrated amplifier ($1600) and a pair of Focal 905 loudspeakers ($999). In spite of its less-than-ideal setting, the system was colorful and engaging, and even had me enjoying a Lou Reed recording. My colleague Steve Guttenberg called my attention to another new product handled by Audio Plus Services: a 30Wpc Micromega integrated called MyAmp ($600), which is apparently designed to work hand-in-glove with Micromega's MyDAC. Pity this was a static display! 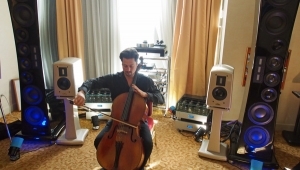 At the opposite end of the spectrum from a static display of playback gear was an active display of real musicthis provided by the gifted Quebec cellist and Fidelio Musique recording artist Vincent Bélanger, who played duets with an unidentified classical guitarist of equal virtuosity. The Brooklyn show marked my third opportunity to hear Naim Audio's remarkable Statement amplifier system ($240,000)my first two demonstrations having taken place earlier this year, in Montreal and Munich, respectively. 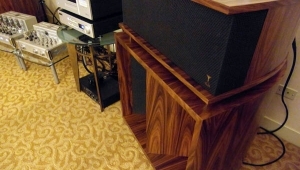 Driving a pair of Focal Stella Utopia loudspeakers ($95,000/pair), with Naim's HDX hard disk-based player and NDS network-based player as source components, the system was musically and sonically powerful, with lots of sheer gripyet enough delicacy to allow George Harrison's "Run of the Mill" to sound thoroughly enchanting. In the hotel's Prospect Park room, a system built around the Zu Audio Soul Supreme loudspeaker ($4500/pair), driven by a simple, affordable Peachtree Nova integrated amp ($1999), itself fed by a VPI Nomad record player with Ortofon 2M Red cartridge ($995), was endlessly entertainingdue, no doubt, to a combination of expert set-up and a similarly endless supply of real (non-audiophile) recordings. This wasn't quite the least expensive system I heard at the show, but it was the one that offered the highest degree of value, by a considerable margin. 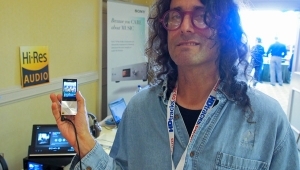 There were a number of good seminars taking place at the Brooklyn showyet none were more well attended than the informal and very entertaining demonstrations by AudioQuest's Steve Silberman, on the topic of computer-based audio. Every time I went to the Fulton Ferry room to hear the combination of Vandersteen Model 7 loudspeakers with the new Vandersteen liquid-cooled amplifier, Audio Research electronics, and Basis record playerthe latter including the new Basis Superarm 9 tonearmit was standing room only as Steve demonstrated the very obvious worth of his setup techniques. The musicand Ihad a bit more room to breathe in the room sponsored by New York dealer Stereo Exchange, where I relaxed in front of a system comprising the entry-level Devialet 120 integrated amplifier ($6500) and the Fire loudspeakers from Totem Acoustic's Elements series ($6000/pair), put together with a bi-wire pair of Transparent Audio's MusicWave speaker cables (approximately $600). John Coltrane and Duke Ellington's recording of "In a Sentimental Mood" sounded exquisite, and the system was especially good at capturing the energy and spontaneity of Elvin Jones's drumming. Doesn't Everyone Have A Pool Amp? The Madison Fielding room makes me laugh. Surely the suggestion that a $4k amp serve as one's pool amp had to be tinged with at least a little bit of humor. Personally, I think a tube amp would be more entertaining. You'd get to see the pool water vaporize on contact and hear the sizzle. The seminar was a disappointment. Titled computer-based audio, it soon became a seminar about how to use iTunes. Yes, iTunes, the most non-audiophile application around. Also, Steve totally confused Lossy with Lossless and mixed up the definitions of compression algorithm and encoders that compress audio. You should get IT guys and programmers to do these type of seminars. Titled computer-based audio, it soon became a seminar about how to use iTunes. Yes, iTunes, the most non-audiophile application around. In the seminar I attended, Steve clearly explained how to optimize iTunes on both Macs and Windows machines to get bit-perfect playback at zero cost. I don't see why that makes iTunes "non-audiophile." Steve totally confused Lossy with Lossless and mixed up the definitions of compression algorithm and encoders that compress audio. Again, not in the seminar I attended. Sorry the seminar was a bust for you. As its hard to gauge the comfort and expertise level of audiences, we've found that starting with the basics and building from there offers the greatest amount of benefit for the majority of people. The reason we spend so much time on iTunes is simple: there are 800 million active accounts around the world today, iTunes can be bit-perfect (when set up correctly), and it can be modified through the use of add-on applications such as Pure Music, Audirvana, Bit-Perfect, Amarra ... just to name a few. The point is, for better or worse, iTunes is the most successful media player in the world today. 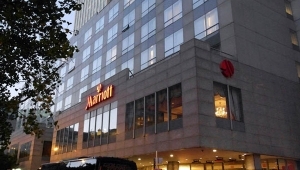 Therefore, educating people on it's merits and performance potential offers our industry and hobby the greatest chance of further success and adoption by new enthusiasts. Take care and we hope whatever path you take towards computeraudio-vana suits your needs and makes you happy! Out of the 800 million, how many use iTunes as a dedicated music source? Out of that, how many are audiophiles? 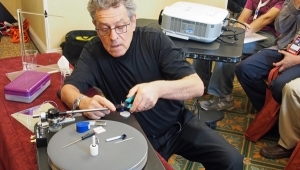 Imagine Michael Fremer taking about Vinyl playback by demonstrating a $150 USB turntable... You have a captive audience, you can talk about USB Audio Class 2.0, DSD and all the hype surrounding it, PCM, ID3 tagging, dedicated music servers and streamers. Talk about development in audio codecs (Opus for example). Talk about why many companies use Linux in their streamers. Open people 's eyes and ears to the potential of computer based audio. Sadly, for many people, iTunes is not the beginning of the journey but the end. I wish I could have been there to hear this. I'm not per-say an iTunes fan at all (I hate the interface, having to change the sample and bit rate manually, no flac support). I just find other pieces of software more user friendly in a Windows environment. If I did go Mac - Pure Music would be the only way to go for me! I just happen to be an IT guy, and I've been playing with computer audio for quite a while. IMHO some of the best in this side of the hobby are Vincent Kars, Nyal Mellor, and a guy known as "Mojave" on the computer audio forums. 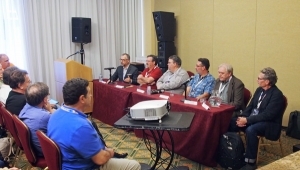 Maybe an invite could be extended to these people - because they are well respected in the computer audio community. Those plant speakers were awesome sounding for a planter!!! I'm surprised that Devialet didn't use SAM ready speakers. Art, you always crack me up. I don't listen to a lot of rock, I'm more of a Russian orchestral or West Coast Jazz kind of guy these days. Nevertheless I get great enjoyment out of "pop records" by the likes of Lou Reed and Elvis Costello, among others, and it always cracks me up when I'm reminded that one of my favorite audio reviewers is not a fan of either. Keep up the really good work, Sir! Bring back Listener!